The Paducah Power System board is seeking a search firm to find General Manager Dave Clark’s replacement following Tuesday’s board meeting. Clark’s resignation comes a week after Ray McClennan stepped down as chair and member of the board. McLennan had called for Clark to resign, but no board members made a motion to do so at the time. Paducah Power has drawn criticism over higher-than-projected city electric rates after buying into Prairie State Energy Campus. The board recently elected Hardy Roberts as Chair the Kentucky Municipal Power Agency, Prairie State Project Management Committee. Roberts says power rate costs will not be falling soon. "I'm sorry Paducah, we're not going to get lower rates tomorrow," Roberts said. "Before we go doing anything, I'd rather have all five or us agree on the tactics." Among many ideas proposed at the meeting, Roberts expressed interest in partnering with Tennessee Valley Authority. The PPS board discussed the power cost adjustment, a premium passed to customers when Prairie State does not produce enough energy and purchases it on the open market. 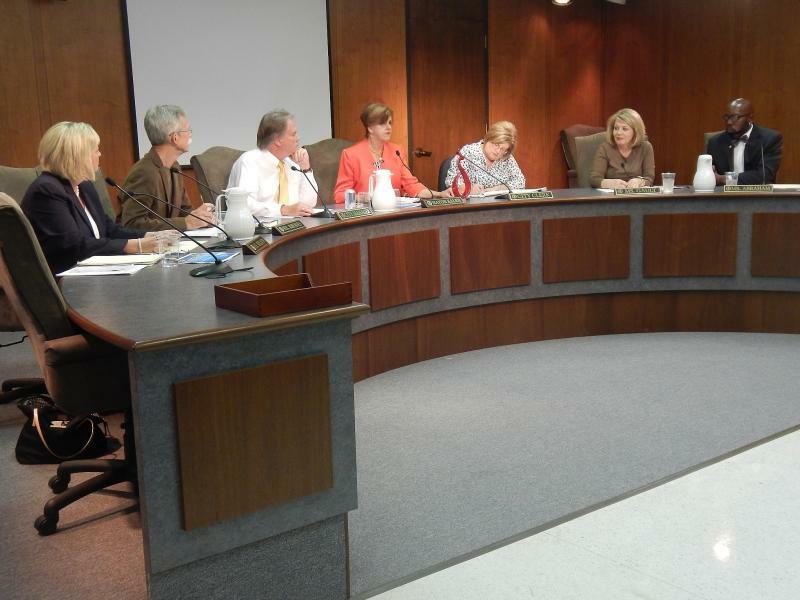 The board voted to continue the current PCA and will address the issue again in 30 days. Paducah residents’ electric bills are more than 50 percent higher than those of Jackson Purchase and Kentucky Utilities customers. The Peabody Coal project claimed it would lower electric rates, but costs at Prairie State plants have increased from 1.4 billion dollars to nearly 5 billion during the past decade. The Paducah City Commission introduced a resolution ‘Call for Action’ demanding a solution from the Paducah Power System. Last night the commission heard a presentation by Prairie State Energy Campus executives addressing their part in sky-rocketing energy costs to area consumers. Residents like Gayle Frye voiced their concerns to Prairie State and Paducah Power executives. Updated 9/22/2014 at 4:20 p.m.
Ray McLennan has resigned as both Paducah Power Board chair and member. McLennan’s action came at today’s PPS board meeting. In response to recent Paducah Power price spikes, the Paducah Chamber of Commerce Board of Directors sent a letter asking the general manager to explore alternative electricity sources to keep rates competitive.